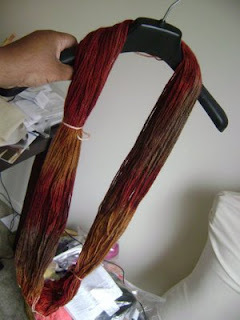 So I went to Merrie's on Sunday to dye again. She lured me with pretty colors. I couldn't resist. 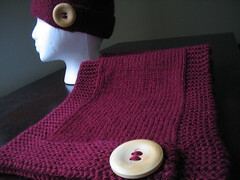 I found some beige mystery yarn in my stash that I thought would work. I knew that there was wool in the yarn. I just didn't know how much. The dye is for protein fibers. Let's just say it didn't work. For nuking it revealed its true nature. There was more acrylic in it than wool. No, it didn't turn into a big ball of plastic, but the strands were flattened and were rather squeaky after the microwaving step. AND all of those beautiful, rich colors washed right out of the hank and down the damn drain. 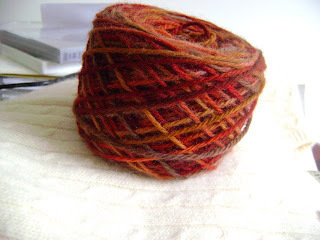 I was highly disappointed because I had high hopes of having a beautiful hank of yarn that would remind me of autumn. I wanted to try again. I asked Merrie if I could have a little of the dyes that I used so that I could try again at home. She obliged, just like any pusher would. I went to A.C. Moore and bought some cream colored Lion Wool. 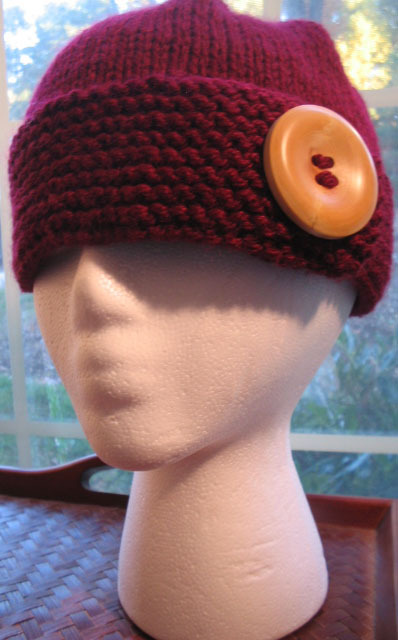 I wanted to use yarn that I was sure was 100% protein fiber. This time I used "Chestnut", "Butterscotch" and "Rust".